Last Friday, I ventured to Veneklasen/Werner Galerie located a short distance from Checkpoint Charlie, for their final exhibit of the summer called MoDiMiDoFrSaSo. The show, which recently closed featured three young artists including Harold Ancart, Klaus Jorres, and Nico Vascellari. 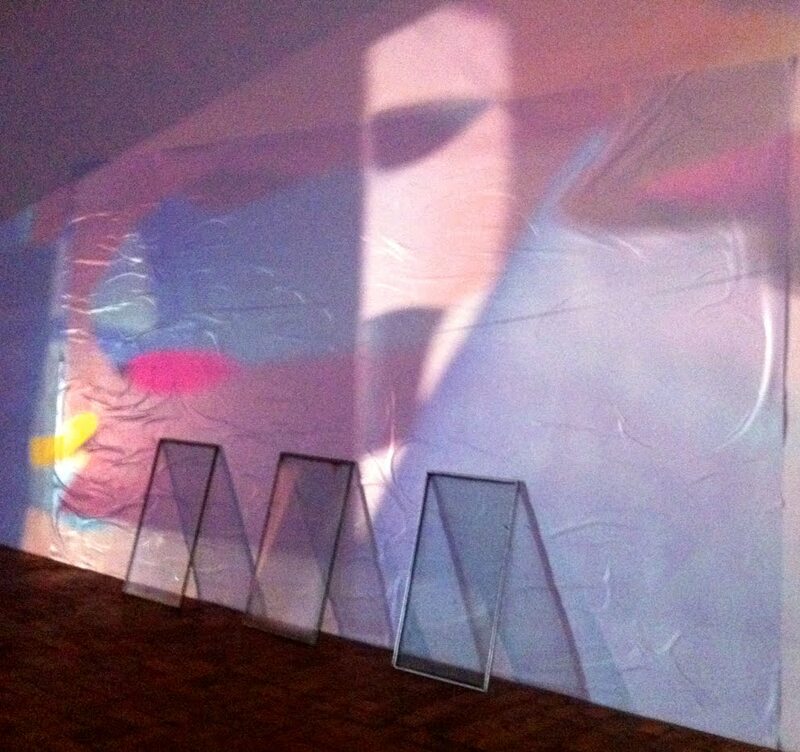 Upon entering the space, the viewer was first greeted by the work of Italian artist Nico Vascellari, an installation encompassing elements of light, form, and color titled Horizons, 2011. Nico, who normally works with sound, performance, collage and photography, also attempted to utilize audio in this particular piece. A fine strip of cassette tape was fed through a black box and then digitally played by through speakers but had problems due to the delicate nature of the medium. Unfortunately, the audio wasn’t working and I inquired with the gallery manager who filled me in not only regarding this particular work, but the others in the exhibition as well. While projected slides, flick and click in the space, another sound should have been playing as intended by the artist. However the presence of the thin black tape loosely strung on an elevated tree branch also offered a resonance of imagined sound conceptually/aesthetically interesting even if through failure. Also included in Horizons are three panes of glass on blueback paper, Untitled 2010 which lean against the wall subsequently offering a level of dimension and disjointed space. The artist presents the work as a self portrait of sorts which responds not only to his present condition and physical studio experience, but also of memory and the act of looking through one panel of window of time to access another. Less organic however systematic is the work of Klaus Jorres whose paintings are shown above. In stark visual contrast to Nico’s installation in the previous room, Klaus is negating depth of field by organizing a defined area with linear abstraction. The five paintings, all Untitled, date from 2008-2010 and are the anti-narrative of personal experience. 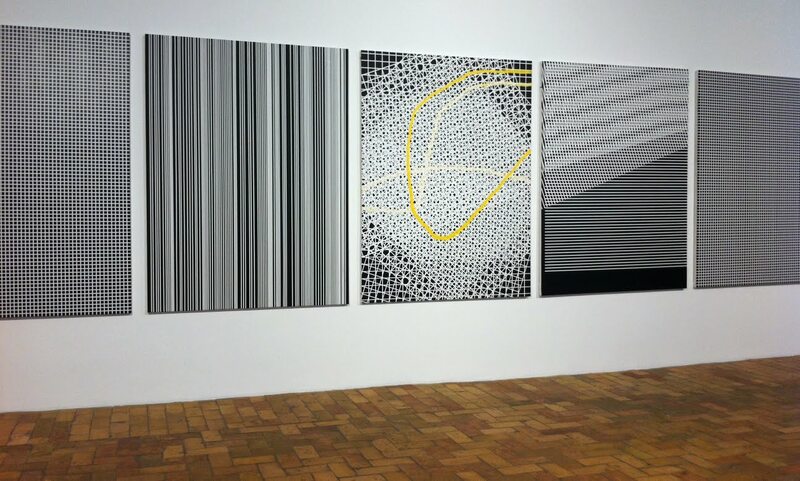 He looks towards binary code as a way of mapping information that is consistent but lends itself to something larger. The final space contains work by Harold Ancart and is site specific drawing encompassing ephemeral elements such as soot, charcoal dust and wire. 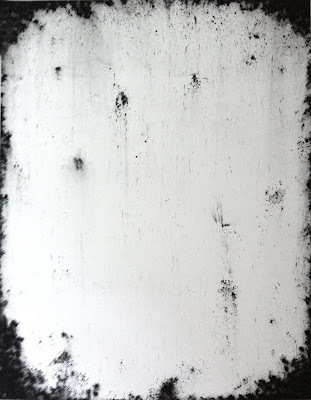 For Untitled, 2011 shown above the artist used black pigment (charcoal powder) on the wall, visually mimicking a more traditional, permanent form of painting/drawing on canvas. At close inspection, it is obvious to see that the charcoal powder is impermanent and could easily be swept away loosely with the brush of a hand or a slight breeze. 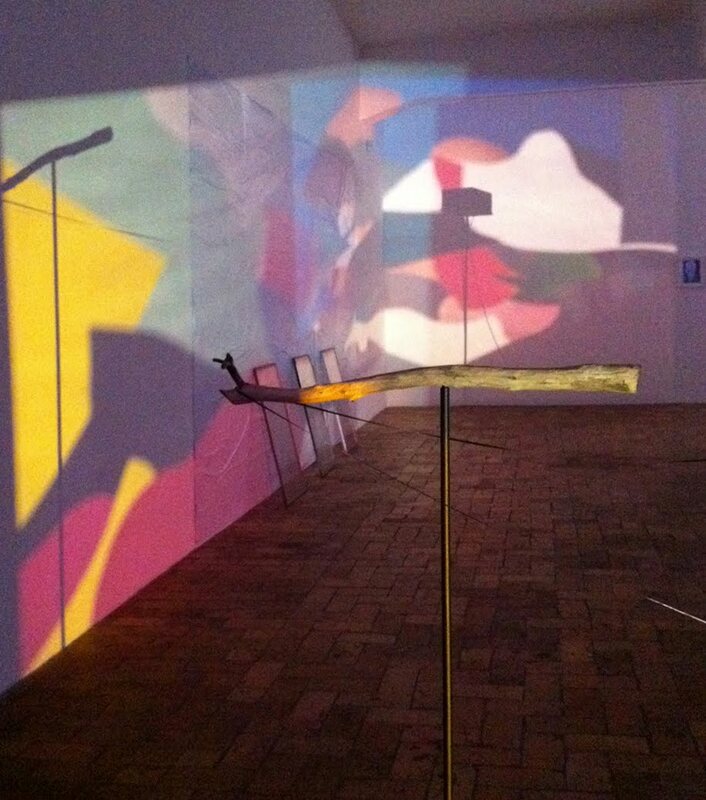 Yet at a distance the piece is complete and appears static however ambiguous. MoDiMiDoFrSaSo was on view at Veneklasen/Werner from June 29th-July 30th, 2011. The exhibit name references the days of the week but also the song by the same name by influential post-industrial German band Einsturzende Neubauten whose singer/guitarist/bassist Alexander Hacke I’ve mentioned here before after seeing his side project along with Danielle di Piccioto, Hitman’s Heel at Issue Project Space in Brooklyn, NY this past January.